The best games that appeal to movie fans are the ones that tell a great narrative in which the player gets to steer that story and make some impact. Until Dawn was a perfect example of this and although they didn’t make the horror-game, Telltale have been behind some of the best examples of movie-fan-friendly games. Their most recent is a Batman game and it doesn’t disappoint. Batman: The Telltale Series is an original game detached from any of the TV shows, movies, other games or even comics, telling a brand new Batman story and delivering great new variations on the recognisable characters already established through popular culture. The strength to a game like this is the story and Batman has a great one, mixing a political race, a coming social revolution and more familiar Batman stories like fighting thugs and grappling with familiar villains, like Catwoman. In fact, one of the more interesting aspects of the game is that it has a newer take on the villains we know and recognise. Catwoman is pretty standard but gets closer to both Bruce Wayne and Batman than most would be familiar with. Commissioner Gordon is still Lieutenant and doesn’t quite trust The Batman yet, while other recognisable people like pre-Two-Face Harvey Dent and an unusual take on Oswald Cobblepot, better known as The Penguin, make this an interesting addition to any Batman fans collection. The strangest take on a character is Bruce Wayne himself. It becomes strange because the player controls his actions and also his thoughts. The player will make decisions, be them actions or dialogue, which shape the kind of character you want Batman to be. This can be harsh, brash and abrasive or more jokey, with a comical side. It makes for a very unique way of playing in a universe so many people are already familiar with. Add to this the idea that each action you make has a longer-lasting consequence. A character will remember a line of dialogue, an action will shape a future relationship and a 50/50 decision will ultimately steer the story in a completely different way. It means that as a fan of narrative driven stories, you are completely immersed, with characters you are already invested in. One of the major flaws for any movie fan playing a game with a strong narrative is the challenge of progressing. Games can be restrictive, blocking progress unless a task has been completed, a boss has been beaten or a puzzle solved. 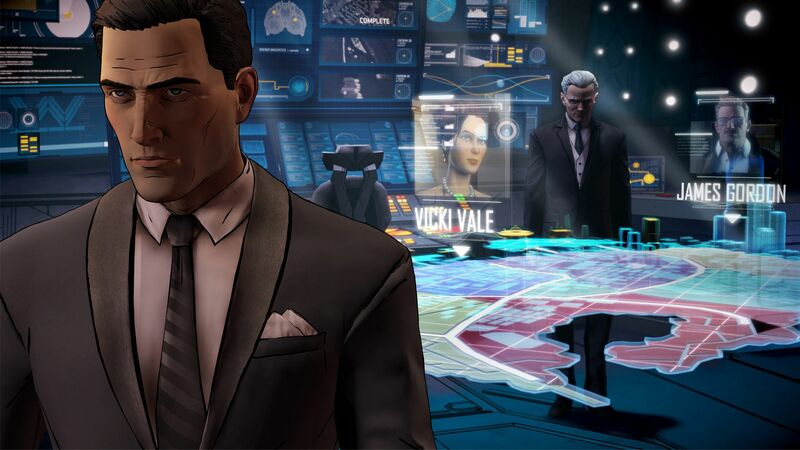 Although there are moments which will cause a “game over” there is very little to hinder a player’s progress in the Telltale Series so a player can continue to play to get to the end of the thrilling narrative. That is until the episode ends. Telltale always release their games in episodes, forcing a purchase and unfortunately a pause in playing between installments. Movie fans have been used to waiting for sequels and shelling out for franchises though so this is a little concern for a great game. 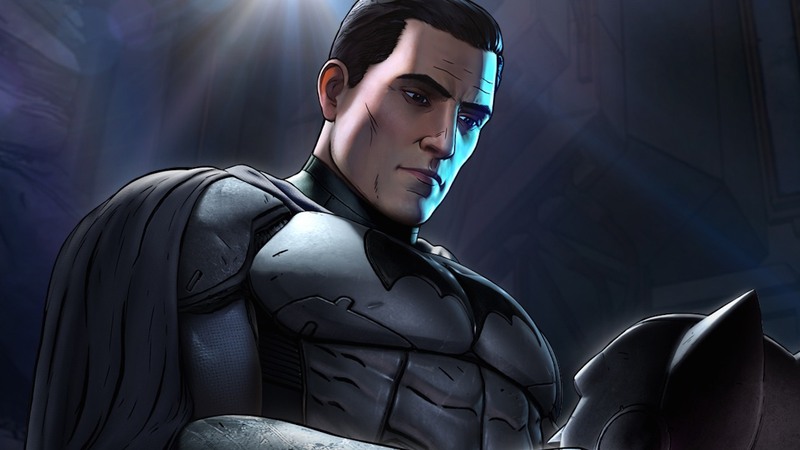 Overall, any film fan who loves gaming should take a chance with Batman: The Telltale series. It has a great story, a new take on familiar characters and game-play which doesn’t restrict but actually steers the story in many different directions. If you can bare the wait between episode releases, it is well worth a look.